Many plant derivatives can be used to settle an upset stomach. What is nice about using essential oils for this purpose is that they relive the upset in a short matter of time. You do not have to take commercial medicines to gain the relief you need. You only need to use a natural substance to feel better again. Indigestion is known as non-acid dyspepsia. It can result from other conditions, and, therefore, it is not a condition in and of itself. While some doctors believe indigestion and heartburn are connected, other medical professionals believe that heartburn and indigestion are the same thing. Indigestion is related to one of various GI tract conditions. It is usually associated with a functional issue of the gastrointestinal tract. The patient may have difficulty processing food or suffer from problems with stomach acid. This type of dysfunction is usually attributed to a person’s lifestyle, what they take in medications, or to disease. In rare cases, indigestion can be brought on by stomach cancer. Stress and anxiety often lead to problems with indigestion. Because indigestion is often attributed to stress and anxiety, it is helpful to change your lifestyle if you suffer from this condition. Heart attacks exhibit symptoms that often are mistaken for dyspepsia or indigestion. If the indigestion is accompanied by chest pain or problems with breathing, it can be an indicator of a heart attack. Essential oils are often used to treat indigestion because of their calming and soothing properties. If you are suffering from an upset stomach, you can count on an essential oil to relieve the pain and upset of this type of gastrointestinal condition. Many oils can also help relieve the heartburn that is associated with this type of pain and upset. This oil is usually found in perfumes and soaps, although it can be used for an upset stomach, as well. That is because it is a popular essential oil to use for stress relief. The oil makes an ideal sleep aid and can be used to relax in the intestinal tract. You can apply the oil topically or ingest it, and it will reduce bloating, acid reflux and the other unpleasant symptoms associated with an upset stomach. Because the oil is a natural sedative, you can lessen the stress and indigestion in your life and sleep better, too. You can use this oil in a mist and spray it on your pillows and sheets. The scent will automatically relax you and settle your upset stomach. To get rid of acid reflux, apply a drop of therapeutic-grade oil on the back of the tongue or use a drop of oil in an herbal tea and drink up 20 minutes or so before your meal. Alternatively, dilute your lavender oil in a suitable carrier oil and massage it into your stomach several times a day as needed. This oil is ideal for settling the stomach, as it is an antioxidant, anti-inflammatory, and antibacterial oil. It has the capacity to kill bacteria and help the body produce mucus. When this happens, the digestive system receives extra protection form upset. Lemon essential oil can also be used in the prevention of stomach ulcers. Lemon oil efficiently cleanses the stomach and flushes out the toxins that can lead to poor digestion. When lemon oil is used, it leads to healthier digestion. You can use the oil by either ingesting it or by inhaling it. If it is ingested, you just need to add the oil to warm water. Sip the mix for about 30 minutes prior to a meal. Doing so will prevent heartburn and bloating. If you want instant relief, add two drops of oil to your tongue, and swallow it. Alternatively, you can dilute your lemon oil with a carrier oil and massage it into your abdomen to ease the pain and discomfort. If you have acid reflux, ginger essential oil will immediately relieve the symptoms. You can also use this EO for preventing the development of stomach ulcers. You can use this oil in a diffuser to relax you and soothe the discomfort of nausea. You can also use a diffuser of the oil to relieve bloating and cramps. You can also apply it topically to your stomach after diluting it with a carrier oil, such a coconut oil, to get some fairly rapid relief. You may also mix the oil with an herbal tea to give you the stomach comfort you need. Mix one or two drops of ginger into water or a tea, and drink it about 20 minutes before you eat a meal. If you ingest the oil regularly, you will ward off the discomfort of heartburn and cause the digestive system to function much more effectively. Peppermint essential oil is an extremely popular essential oil which is highly regarded for its amazing versatility. Among its many uses is the treatment of various digestive conditions including bloating, gas, nausea and indigestion. It has anti-inflammatory and carminative properties meaning that the oil can help expel stomach gases which in turn relieves bloating and abdominal pain. A study published in 2011 demonstrated that peppermint oil can help people suffering from IBS or irritable bowel syndrome. According to the study, the active compounds present in peppermint can prevent pain by activating a channel called TRPM8. (4) By activating this anti-pain channel. peppermint oil could reduce discomfort and pain associated with eating spicy foods such as chili or mustard. While peppermint may be effective in treating bloating, cramp and indigestion, it may actually have a negative effect on heartburn. Because of this, people with chronic acid reflux or GERD should not use this remedy. There are several effective ways to use peppermint essential oil to treat indigestion and other digestive troubles. You can inhale the oil either directly or with the use of a diffuser. Another effective option is to dilute your peppermint oil with a carrier oil and massage it into your stomach whenever needed. You should not take the essential oil internally because it is so highly concentrated, however peppermint tea is an excellent remedy for indigestion and stomach upset. Essential oils can be used to treat digestion by inhalation or ingestion. The easiest way to use the oils is by diffusing them an inhaling them or by simply drinking a very tiny amount in a tea. Make it a point to drink the tea about 20 minutes before a meal or after you have consumed a meal. Doing so will relieve heartburn and gas and will help you digest your food more easily. Note that peppermint essential oil may help relieve indigestion but taking too much peppermint oil can actually lead to heartburn. For this reason we do not recommend that you take peppermint oil internally. If you use the oil for inhalation, add a few drops of oil to your pillow, for instance, at night, to give you stress relief. Lavender is good for this purpose. It is a relaxing oil that can help you sleep and obtain the rest you need. By taking either approach, you can prevent ulcers and lead a more calm and productive life. 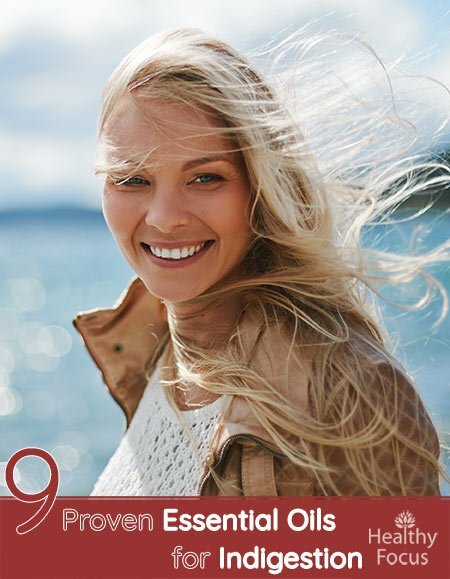 There are any number of carrier oils to choose from when it comes to diluting your essential oils and some of the most popular include jojoba oil or coconut oil. . Whatever your choice, you will find that massaging the oil after diluting with an oil like jojoba oil or coconut oil will balance out the ingredients and give you the stress and digestive relief you need. What essential oils are good for indigestion? Although we are lacking scientific studies to confirm their use, several essential oils may be very helpful in treating or preventing indigestion and other digestive symptoms. The best oils to treat indigestion are lavender oil, peppermint oi, ginger oil and lemon essential oil. Is Peppermint good for indigestion? Peppermint has long been used to help ease a range of stomach conditions. Studies indicate that peppermint oil can prevent stomach pain as well as helping to treat people with IBS. While peppermint oil may well be an effective remedy for indigestion and gas, it should not be used internally by people with acid reflux or GERD since it may make the symptoms worse. What essential oil do you use for acid reflux? The best essential oils for acid reflux include lavender, ginger and lemon essential oils. Lavender is especially useful since it can also help relax the mind and promote a good night of sleep. This is extremely useful for people who are kept awake because of their digestive troubles. What tea is good for indigestion? A number of herbal teas can help calm the digestive system and prevent or treat indigestion. These include chamomile tea, licorice tea. marshmallow, slippery elm and peppermint tea. If you want to have a healthier digestive tract, you need to use essential oils for calming yourself and relieving stress. Lifestyle plays a major role in how you feel overall. That is why it is important that you use essential oils that calm you and relieve the tension in your life. The best oils to use for this purpose are lavender oil, lemon oil, and ginger. While lavender oil soothes you with its scent, lemon oil is a cleanser. Use lemon oil to get rid of the toxins in your system and wash away the bacteria that can lead to stomach upset. Ginger is a good all-around tonic and will make you feel better overall. Regardless of the oil you choose, you will find that it will lead you to practice better health habits and eat healthier, too. What do you want to achieve when it comes to feeling better? That is the question you must ask when you choose an oil. If most of your stomach upset comes from stress, you need to use an oil, such as lavender, that can be inhaled and can help you sleep. If you eat the wrong foods, you need to make some food switches and use lemon oil to relieve the pain and discomfort of indigestion. Doing so will give you a whole new lease on life. If you have problems with heartburn, choose ginger to get rid of the burning sensation of the condition. By taking these approaches, you can relieve indigestion once and for all.